Bakāsana (Sanskrit: बकासन, Crane Pose), often used interchangeably with Kakasana (Sanskrit: काकासन, Crow Pose) is an asana. 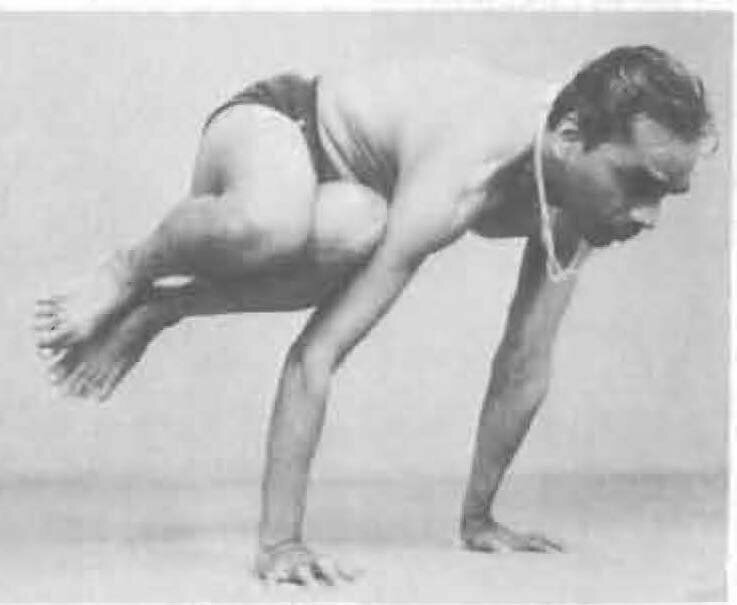 In all variations, Crane/Crow is an arm balancing asana in which hands are planted on the floor, shins rest upon upper arms, and feet lift up. 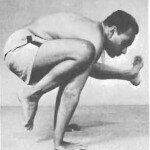 The two names for the asana come from the Sanskrit words baka (“crane”) or kak (“crow”), and asana (आसन) meaning “posture” or “seat”. 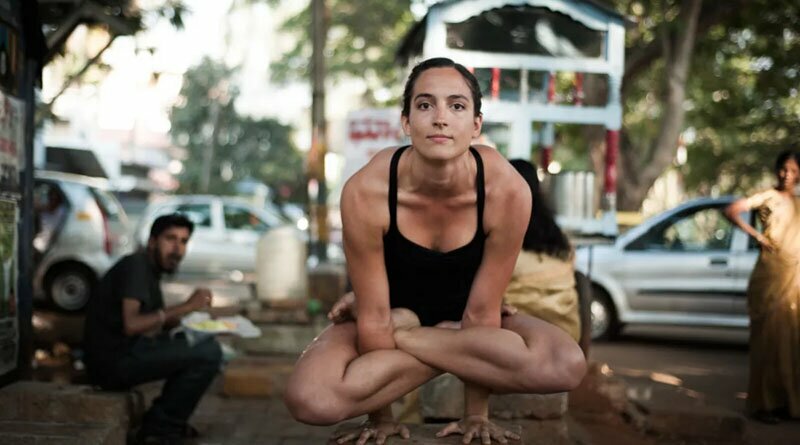 While different yoga lineages use one name or another for the asana, Dharma Mittra makes a distinction, citing Kakasana as being with arms bent (like the shorter legs of a crow) and Bakasana with arms straight (like the longer legs of a crane). 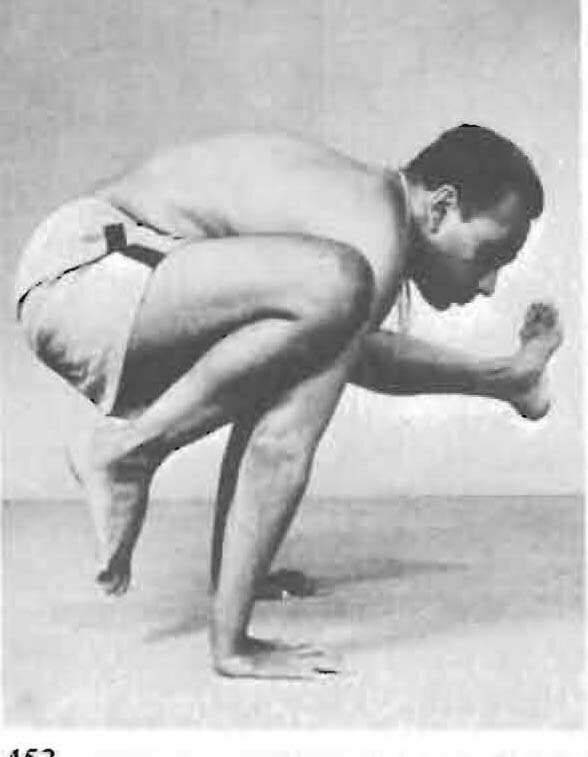 In the west, practitioners often mistranslate the Sanskrit “Bakasana” as the English “Crow Pose”. 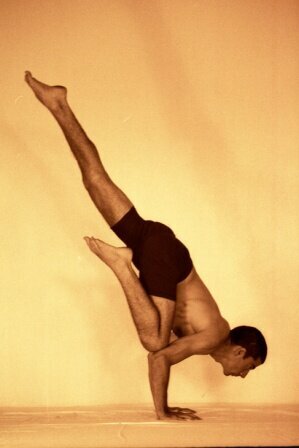 This asana is considered an arm balance. According to B.K.S. Iyengar there are two techniques for entering into this balance. 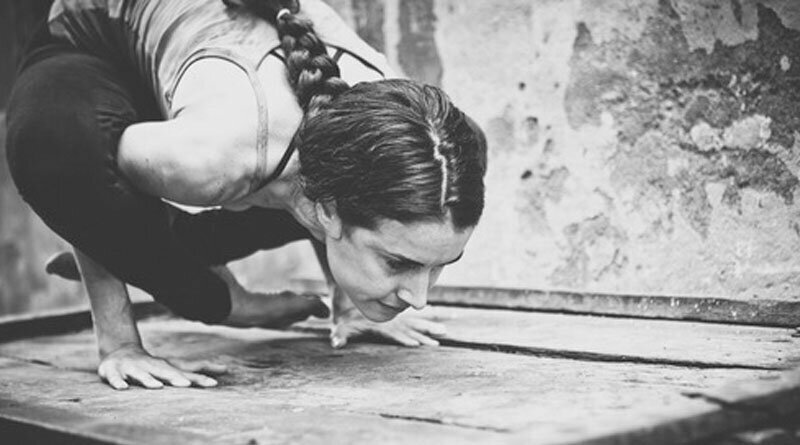 The simple method of achieving it is by pushing up from a crouching position. The advanced method is to drop down from a head stand. 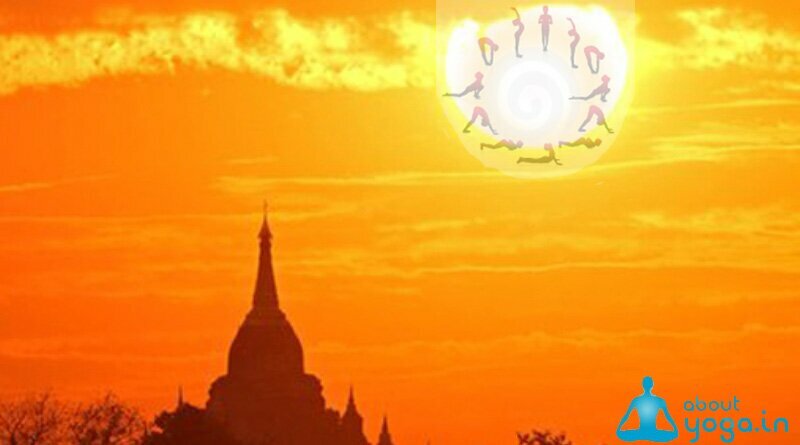 The asana strengthens the shoulders, arms, wrists and hands, as well as the core muscles and organs of the abdomen. Eka Pada Bakasana/Kakasana (One-Legged Crane/Crow Pose respectively) in which one leg remains in Bakasana while the other extends straight back. Eka Pada Koundiyanasana I (Pose Dedicated to the Sage Koundinya I) in which one leg remains in Bakasana while the other extends diagonally back and to the side. 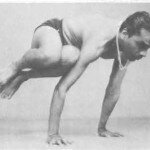 Crane/Crow is often followed by Chaturanga Dandasana (Four-Limbed Staff Pose) or Salamba Sirsasana II (Supported Head Stand, Second version). 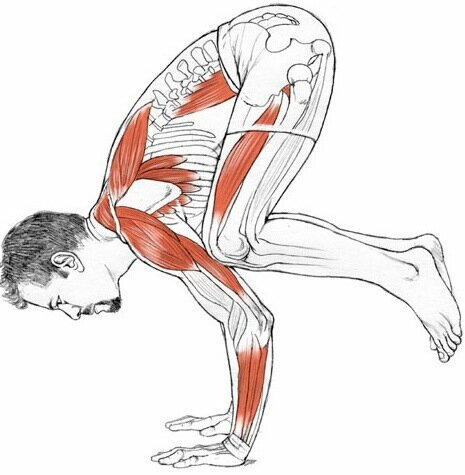 Some practitioners jump in and out of Crane/Crow via Adho Mukha Svanasana (Downward-Facing Dog Pose). Related hand balances include Astavakrasana (Eight-Crooks Pose) and Titibasana (Firefly Pose).